Andreelures started 2006. Already at childhood, the interest for pike fishing and lures, started growing. 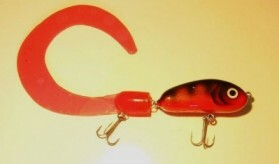 When John Andrée, owner of Andreelures, started fishing with jerkbaits, he saw the possibility to manufacture his own baits for this type of fishing. And so the first prototypes saw the light. 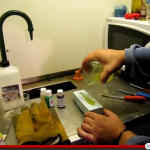 After that it went fairly quickly to start producing baits since he has worked as a carpenter for 10 years and is used to working with wood and any problemsolving needed related to manufacturing out of wood. All baits are now produced and painted by hand. The different materials used are beech, birch, aspen and poplar depending on what abilities the bait is intended to have. 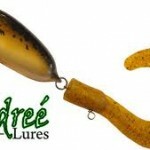 Andreelures also carries a range of softbaits of different types, and the quality of these are increadible. Tuff quality and with great action.